Angela Merkel tops Forbes' list of 100 most powerful women. December. 06, 2018 08:21. by Ga-In Koo comedy9@donga.com. German Chancellor Angela Merkel topped the "100 most powerful women in the world for 2018" by Forbes, which was announced on Tuesday. 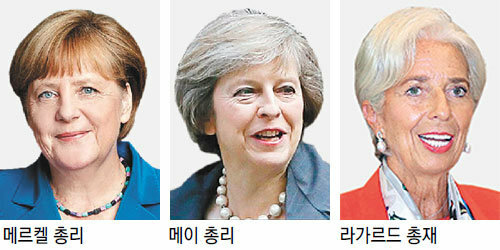 Merkel topped the list for 12 times in total, this year being her eight consecutive time to top the list. Hotel Shilla CEO Lee Boo-jin was the only Korean woman to be included in the list, ranking 86th place this year from 93rd place last year. Forbes assessed that Chancellor Merkel won the first place despite the announcement of her retirement after she finishes her term in office in 2021, eval‎uating that Merkel, who is leading Germany as the most powerful economy in Europe through coordination after suffering financial crisis and growth decline, is the de facto leader of Europe.